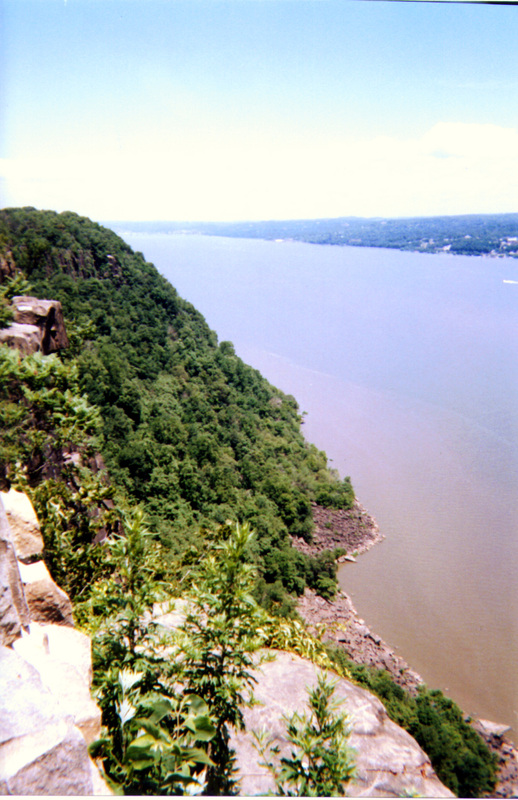 The Hudson, viewed from the Palisades, northward to the Tappan Zee Bridge. Sunday, July 8, 6:00 Cornelia Street Café (29 Cornelia St, betw Bleecker & W 4th). Recording session for "The Dark" will be followed by "The Subterraneans: Kerouac and Kees." Readings from Kerouac's novel, plus other poetry and music. George Wallace, creator of the four-city, day-long marathon on Kerouac's Big Sur (July 22), will be among those appearing. July-August: The magazine will offer various readings and workshops in the Catskill counties, including Albany and Greene, dates TBA. 7/15: The Kiss; The Hudson; Fairytales; Sci Fi; Amsterdam. Ongoing: The Imaginary; The Desert; Confinement; Erotica. Reader response to the huge June issue, 'Only the Dead,' on the Vietnam War, was immediate, vast, sustained. The Housing Works audience was hushed and reflective. The editors, contributors, and hosts thank you for thereby honoring the drama and devotion of all whose lives were lost or recharted in Indochina. Wartime-delayed to July, we present our Summer Solstice feature, 'The Dark.' Then, Big City Lit™ goes country! with poems from the Northern Catskill Watershed. Vicki Hudspith's three poems on the Hudson, fairytale pieces by Claudia Carlson (illustrated), and Dunn and Price on drive-in's complete the shift from serious to sanguine. This month's Twelve contributors ply water- and other bodies. The cumulative Big City, Little page adds four pieces on Dubrovnik and Croatia by Lynn Veach Sadler. On-site guest editor Stephen Cvengros inaugurates the Bridge City Lit / Amsterdam page next month. In "How She Chose the Day," Meredith Sue Willis's unblinking gleam frames a dark elective, while Peter Markus combines primordial fealty with unnatural fire to locate place unerringly in night ("The Sky is an Old Lady with Fire in Her Cheeks"). I was homesick for San Francisco. For that sentimental, self-indulgent reason�and that reason alone�I read "Crime Club," the first poem in the Kees section. I intended to stop there. Nowadays, the highlights of Midsumer are sauna, dances and bonfire. All these small rites are basically a hopeful foreplay for vigorous love-making. 15,000-foot deep Hudson River Canyon. Paradoxically, [the book] achieves its strongest moments when the author is willing to lower his voice and go into his heart. The images of "East Coker" and the "Purgatorio" raged within our senses as we stared down increduously to the street where police were building barricades, and students, soaking eyes with towels to soothe the pepper spray, were lobbing back spent canisters. The U.S. Supreme Court holds for the freelance writer: New York Times v. Tasini.